This one is a bit of an oddity. For reasons that I still don’t really understand several albums were released in 10-inch versions along with their standard 12-inch counterparts (both pictured above). We’re not talking EPs here, but regular long players repackaged. Maybe it was a nostalgia thing — a throwback to the fifties when the 10-inch was king. More than likely it was no more than a way to get suckers like me to buy an album again. Spoiler alert: It worked. 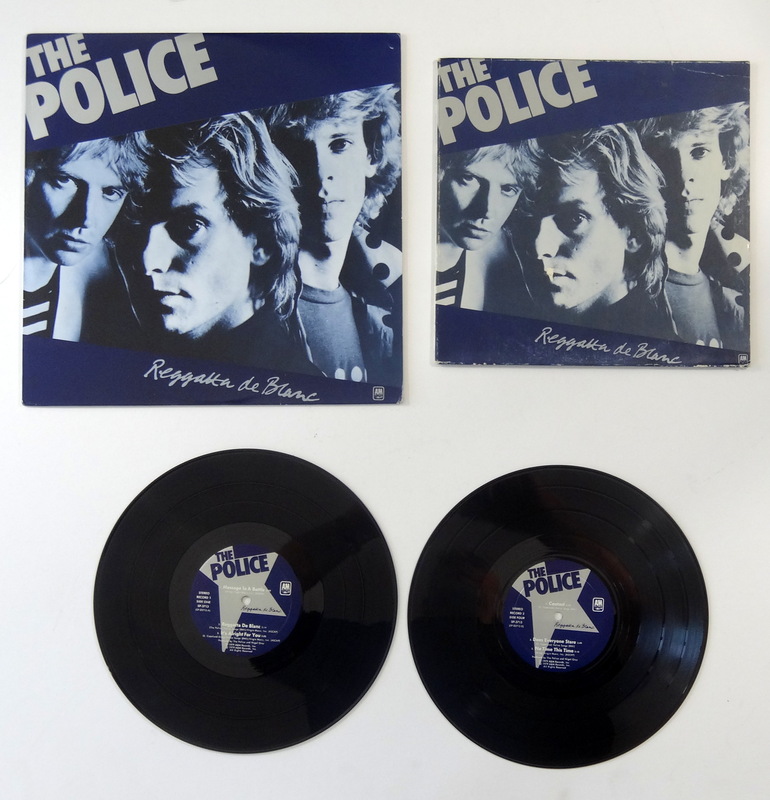 Regatta de Blanc might be my favorite Police album, but it’s a tough call. To my ear the trio made five perfect albums. There are some other nice Police oddities out there — badge-shaped picture discs, that sort of thing — but if you’re not interested in collecting just pick up those five studio albums and enjoy. Expect your mini Regatta to set you back about twenty bones. Happy hunting. I remember when The Police first appeared. We were convinced their sound was the future of pop music. Were we right or not???? Well, they weren’t Auto Tuned and they had a killer drummer rather than a drum machine. Maybe they’re the future of future music. Another quality album. Takes me back! You collectors. They were definitely eyeing you and your fellows. But if you are going to duplicate, The Police seem like a good place to do it. Certainly better than Franklin Mint Little Rascals collectors plates. Not that I own those. As far as you know. Maybe time to revisit them. Maybe so, Simon! I’d start with this one. It’s a great album.